© REUTERS/Edgard Garrido Honduran migrants, part of a caravan trying to reach the U.S., are pictured inside a pick up in Quezaltepeque, Guatemala October 16, 2018. The Honduran security ministry said on Tuesday that an organizer of a migrant caravan traveling north from Honduras was detained in neighboring Guatemala and will be deported back home in the coming hours. "The problem is that he (Bartolo Fuentes) did not comply with Guatemalan immigration rules and will have to be returned to Honduras in the coming hours," said ministry spokesman Jair Meza. 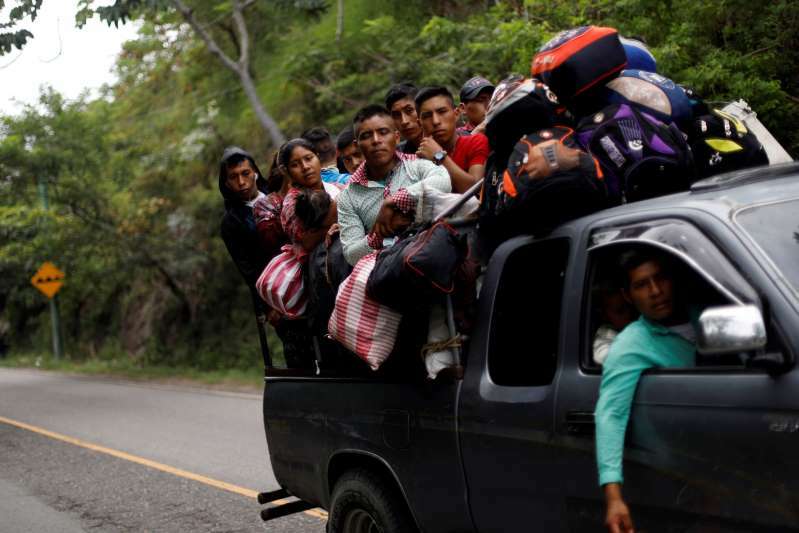 U.S. President Donald Trump threatened on Tuesday to withdraw funding and aid from Honduras if it does not stop the caravan.